We mentioned a few months back that TV One has picked up a second season of original sitcom The Rickey Smiley Show, but now we have the exact premiere date. TV One will premiere the second season of the network's original hit sitcom The Rickey Smiley Show on Friday, July 26 at 9:00pm ET. Loosely inspired by the real-life experiences and antics of lauded comedian, TV, and radio personality Rickey Smiley, the series pulls TV One viewers even deeper into "Rickey's World" this season, introducing two additional alter egos to his already beloved, wacky troupe of trademark personalities. Season one introduced audiences to leading man Rickey, a popular, Atlanta-based national radio personality juggling career and life as a single father of three. Fatherhood and radio station duties were often complicated by appearances from hilarious alter egos made popular by the star in his radio and TV routines, including church lady Sister Bernice Jenkins, gospel crooner Joe Willie, and Rickey's Southern Baptist church leader, Pastor Watkins. Joining the chaos in Season Two are Smiley personas Lil' Darryl, a boy in coke-bottle glasses who's been in the fourth grade for nearly 12 years and often shows up at Rickey's door unannounced, and Clarence the Janitor, a Birmingham-area school custodian who wears an elevated orthopedic boot to combat his uneven leg condition and claims to be a "professional soft shoe dancer." Rejoining Smiley for the 13-episode second season is a stellar ensemble cast including: Ray J as Kenny, Rickey's morning show producer and protégé; J. Anthony Brown as Rickey's radio station manager Maurice, aka "Mo-Sweets" from his earlier rap career; veteran actress Roz Ryan as Aunt Sylvia; Jay Lewis (Lil JJ) as Rickey's 18-year-old son Brandon; Ajiona Alexus as Rickey's 16-year-old daughter De'Anna; Gabriel Burgess as his youngest son Aaron; Noree Victoria as his business manager Simone Renee Jackson; and Demetria McKinney as Rickey's uber-career oriented ex-wife, Monica. Additionally, Season Two will feature a jam-packed lineup of celebrity guest stars and special appearances including: Kenya Moore, Cynthia Bailey, Syleena Johnson, Angie Stone, Tameka "Tiny" Cottle, Antonia "Toya" Carter, Porsche Stewart, Creflo Dollar, Benji Brown, Dottie Peoples, Ann Nesby, Carl Payne, Corey Holcomb, Charlie Murphy, David Banner, Pierre, Joe Claire, Lil Scrappy, Momma Dee, and Doug E Fresh among others. 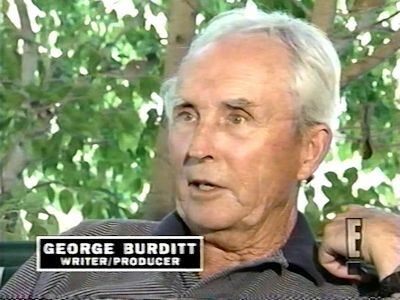 Television writer and producer George Burditt, who worked on Three's Company, has died. He died on June 25 in Burbank, California. Mr. Burditt was 89. 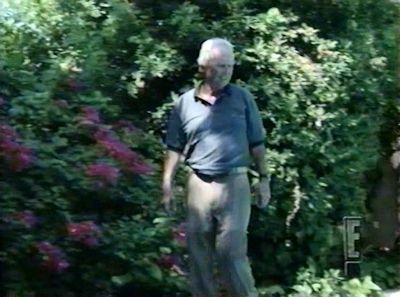 Survivors include his wife Joyce, a television writer and one of the creators of Diagnosis Murder; three children; eight grandchildren; and seven great-grandchildren. His son Jack Burditt is an Emmy-winning producer and writer of Frasier and 30 Rock and the creator of Last Man Standing. We thank him for the laughs he brought us on Three's Company. It's always sad when we lose a member of the Three's Company family. He will be missed.